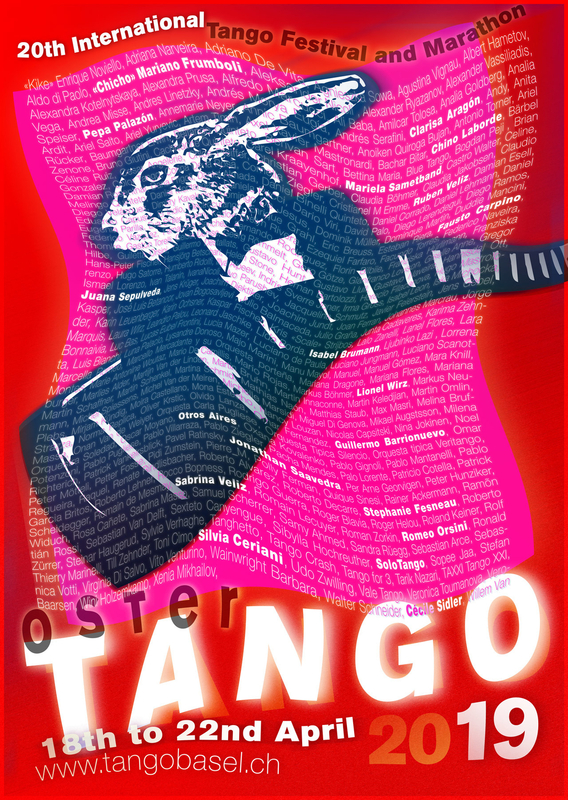 20 years OsterTango! We celebrate our anniversary! 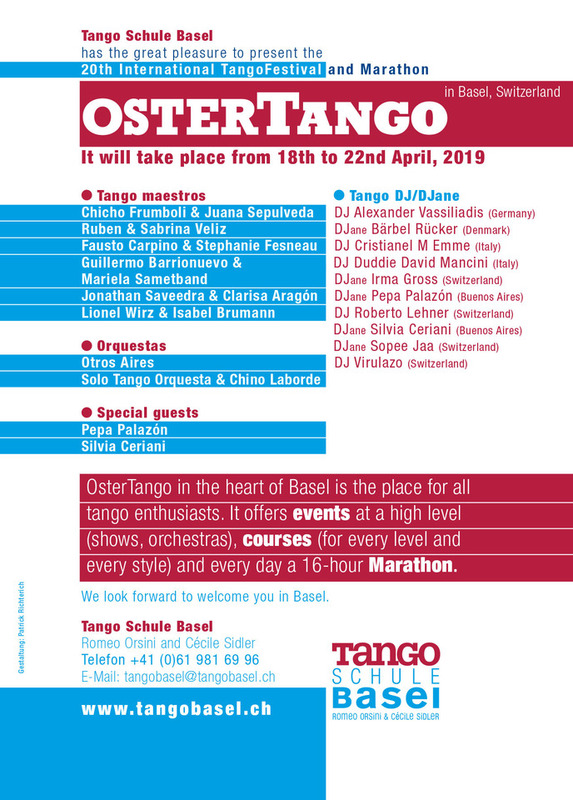 The unique tango festival OsterTango combines marathon and festival and takes place at the Volkshaus in the heart of Basel. It offers seminars and workshops with Chicho Frumboli & Juana Sepulveda, Ruben & Sabrina Veliz, Fausto Carpino & Stephanie Fesneau, Guillermo Barrionuevo & Mariela Sametband and Jonathan Saavedra & Clarisa Aragón and moreover a talk on Tango with Silvia Ceriani. The course for beginners will be taught by Lionel Wirz & Isabel Brumann. LivePartys and the over 60-hour long marathon guarantee dancing around the clock. The program in the large ballroom promises an intense tango experience and will be hosted by Pepa Palazón from Buenos Aires. On Thursday the festival starts with "Viva la Pepa! Milonga" and on Friday Otros Aires present their first acoustic album. This will be followed on Saturday by the show of Orquesta Solo Tango & Chino Laborde and 4 top-class dance couples. Last but not least Orquesta Solo Tango & Chino invite you to dance on Sunday.